Buy 2 or more for just $16.95 each! 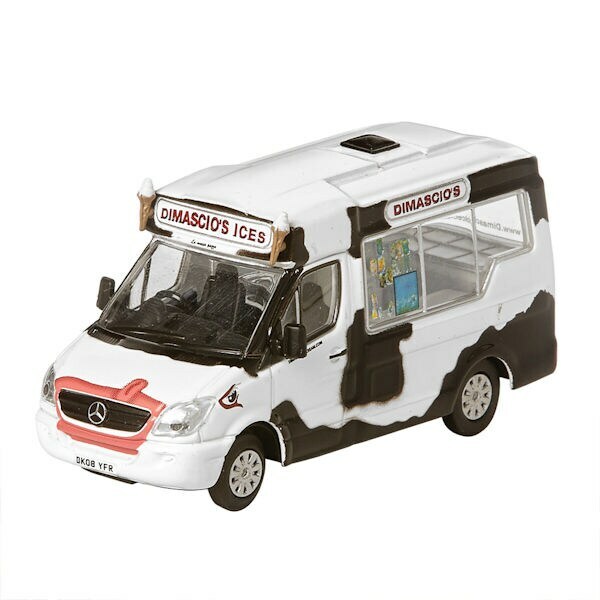 All across England, just like in the US, children chased ice-cream trucks on summer afternoons. They were rewarded with sweet, frosty ices or lollies. All three of these brands are still known in the UK. 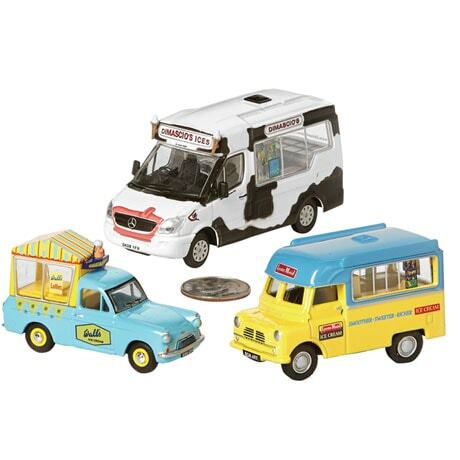 Trucks are die-cast metal with hand-painted details and rolling wheels. Each is 1:72 scale, about 1" high, 2-3" long. This is a collector's piece, not a toy. Designed for ages 14+. Sold separately.